When most watch retailers dismissed the web as a fad, Craig Rebuck was busy founding what started as an eBay shop and evolved into a powerful e-tail machine. Now as shops are shutting and online booms, he speaks to Rachael Taylor about bucking the trend again and taking WatchWarehouse to the high street. By all accounts the high street is not a great place to be; with business rates on the up and UK shop vacancy hitting nearly 15%, it almost beggars belief that a successful watch e-tailer would chose now as the right time to open its first bricks-and-mortar store, but that is exactly what WatchWarehouse is doing. For managing director Craig Rebuck it is all about retail evolution. While for many retailers – and indeed Rebuck’s own family business – the internet has been the evolution that has had to be adopted, for WatchWarehouse the reverse is true and now it is retail that is the evolution. WatchWarehouse started out in 2007 as an eBay store, but the family business that is behind it charts its history back to 1910 when Julian Lewis – Rebuck’s great grandfather, and a watchmaker – opened a store called J Lewis and Sons in London’s Moorgate. The business later changed its name to Peter Burrowes in 1939 and in 1977 Rebuck joined the company as a fourth-generation jeweller. Throughout its history, Peter Burrowes sold both watches and jewellery, but Rebuck’s passion has always lain in the watch industry, and also in finding alternative channels to get to consumers. This all-embracing attitude towards the alternative held Rebuck in good stead when in 2007 his plans to launch the WatchWarehouse website were somewhat scuppered by the economic climate. “The recession happened within three months of us deciding to do it, so we decided to use the eBay channel and that worked,” he says. EBay proved to be a solid learning ground for WatchWarehouse, particularly when it came to navigating the trials of managing a high-volume sales strategy. To make sure that negative experiences are not found at WatchWarehouse, it has always been standard practice to offer next day delivery, or same day if the purchase is being sent within the M25. With a quick turnaround and a stack of affordable fashion-led brands, WatchWarehouse flew; in its first Christmas it sold 1,580 watches in 24 hours. And as shoppers became more confident, its online offer expanded and it now carries higher price points, such as a men’s Raymond Weil Nabucco selling for £3,295 and for ladies the diamond-set Raymond Weil Jasmine at £1,995. Within a very short space of time, WatchWarehouse was outstripping the original Peter Burrowes shop. 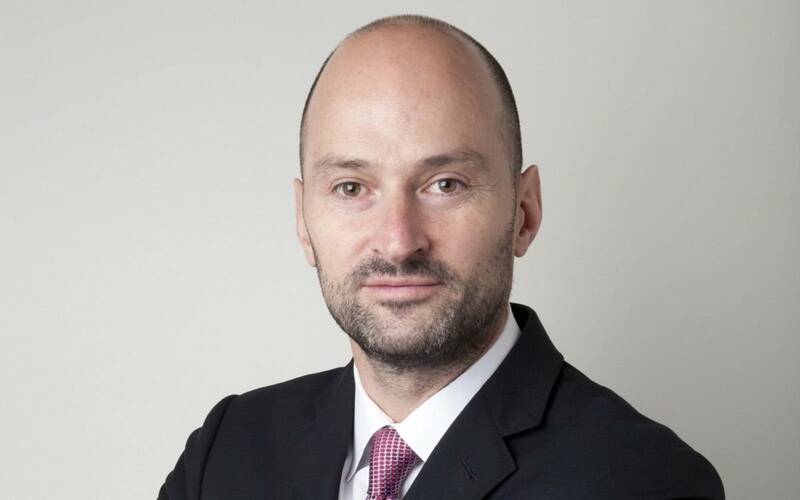 For Rebuck it was a confirmation that the decision to jump ahead of the curve to take watches online was a financially sound one, as well as being perfectly suited to his desire to be a retail pioneer. With the evidence weighing up in favour of an online business model – the company has plans to move its warehouse to an expanded facility in February – it would make absolutely no sense at all for WatchWarehouse to look to anywhere but cyberspace for further growth, or would it? After five years building up an online-only business, and doing it successfully, Rebuck and his team made the bold decision to take online offline, and as the world directed its attention to east London for the Olympics, in west London – Edgware Road, to be exact – WatchWarehouse quietly replaced Peter Burrowes. While some family members were less than pleased about the end of Peter Burrowes, a name that had represented the family business for 63 years, Rebuck felt it was the right move, believing that WatchWarehouse is the stronger brand and an easier name for customers to connect with. 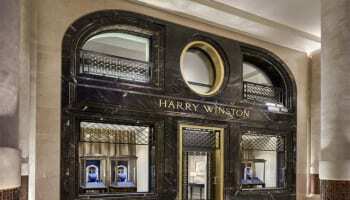 The store itself is a blend of tradition and modernity, the perfect store for a multichannel age; downstairs traditional glass display cabinets are accented with iPads linked up to the WatchWarehouse website and upstairs, in the private sales area, is a permanent augmented reality feature created by Holition that allows shoppers to virtually try on watches right next to a selection of real ones. In the few months since its opening, Rebuck says that the flow between online and offline has been suitably fluid. It is not just a theory; shoppers are becoming truly multichannel. The examples Rebuck gives of this is that the click and collect function is proving popular, so much so it has plans to focus marketing on it, and shoppers buying watches online are coming into the store to have the straps adjusted. 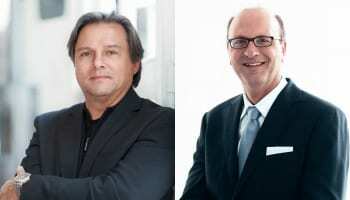 Rebuck has big plans for WatchWarehouse’s high street presence; the shop in London is just the start. 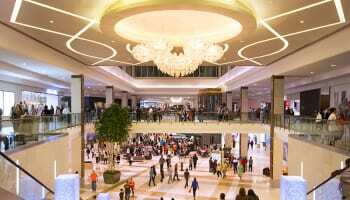 He has forecast to open five more stores in the next 18 months, the locations of which he says are yet to be decided and will be dependent on finding perfect locations in areas that will prove fruitful. This is part of the beauty of coming from online to the high street rather than the other way round – the masses of data already accrued on where its best customers live, where the majority of its customers live, what they like to buy in particular areas of the country; all priceless information that can reduce risk if used wisely. 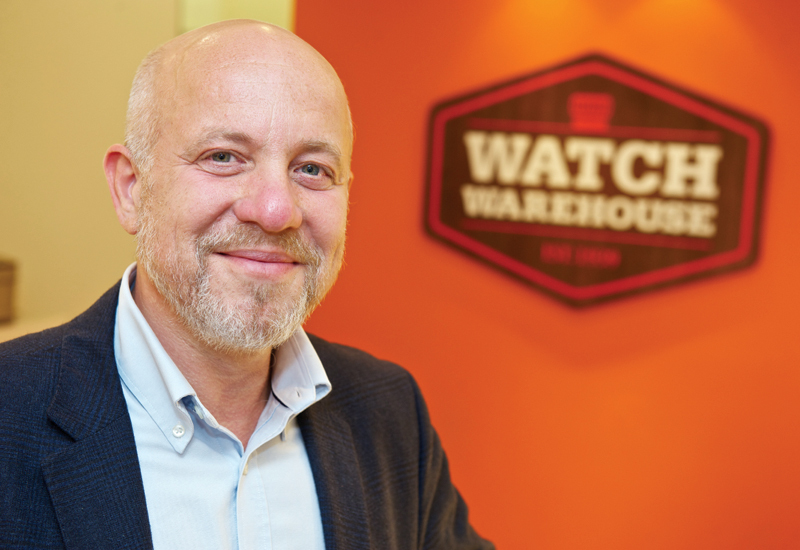 While shop vacancy rates in the UK are hitting nearly 15%, Rebuck believes that this is down to the survival of the fittest, and he feels that WatchWarehouse has something viable to bring to the UK high street. Rebuck says that he likes to think of himself as swimming upstream while the rest of the industry is enjoying the downhill flow. When retailers laughed at the idea of selling watches online, WatchWarehouse was born and now that watch retailers are catching up and trying to shave overheads while boosting sales by embracing the web, WatchWarehouse is now tackling the high street. But what is most promising about the business model that Rebuck is carving out is his notion of a pendulum. Truly excellent multichannel retail finds a way not to split customers between those who shop online and those who shop in store, but unify the two experiences and cater for all. With the first WatchWarehouse offline store testament to clear thinking on that point this could be an exciting new evolution for watch retailing on the British high street, as well as the world wide web. This article was taken from the November 2012 issue of WatchPro. To read the issue in full online, click here.